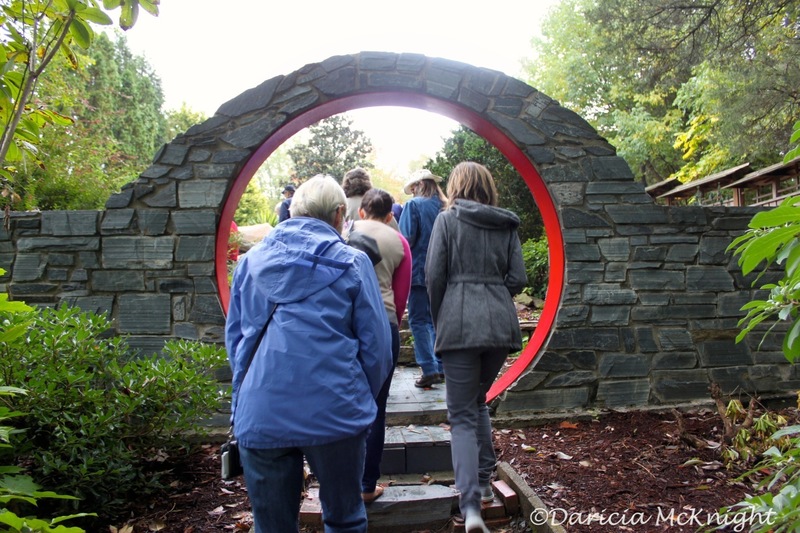 The greenhouses and gardens at UNC Charlotte showcase plants from all over the world, but our group is headed to a special new addition, The Mellichamp Native Terrace. Ed explained that the ideaand he credited Lisa Tompkins from our chapter for originally suggesting thisis to demonstrate natives being used in a variety of garden situations, from formal to casual, and in different soil types, so that homeowners can see options that might work in their particular landscapes/gardens. 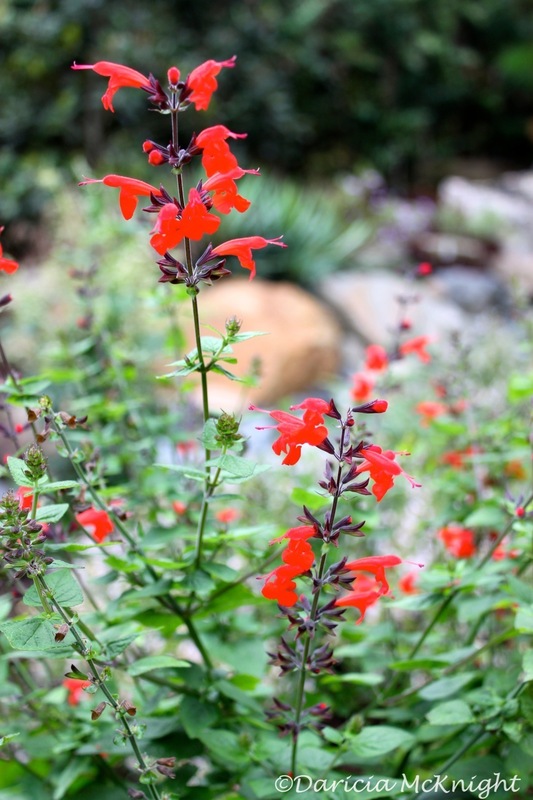 Scarlet Sage (Salvia coccinea) was a highlight of the fall display. 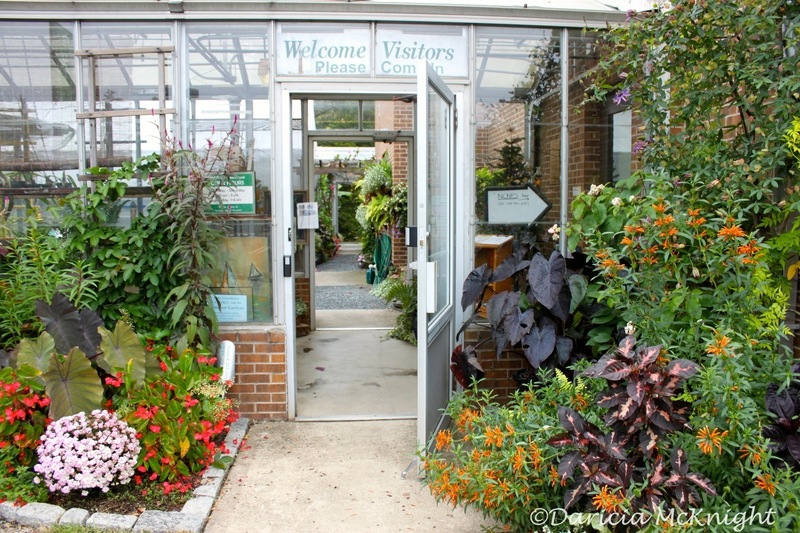 The plant selection here is exciting for any native plant enthusiast, but for gardeners there are lots of good ideas to take home as well. 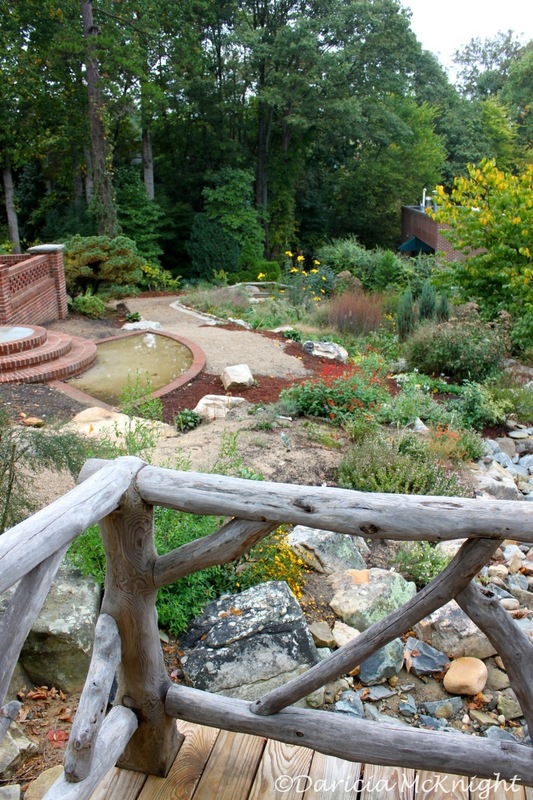 Many of the choices are featured in Dr. Mellichamp's book, Native Plants of the Southeast (Timber Press, 2014).